Sherri Mandell, the mother of terror victim Koby Mandell HY"D (May God Avenge his blood) has blasted President Hussein Obama for his silence on the kidnapping two weeks ago of three Israeli teenagers. I received this by email from Jack W.
Sherri Mandell ~ "Say Something." I would like to know why President Barack Obama has still failed to publicly condemn the kidnapping of Naftali Frenkel here in Israel, who is both an Israeli and American citizen. Two weeks ago, Naftali, Gilad Shaar and Eyal Yifrach were kidnapped by terrorists on their way home from school. There has not been any word from them since. I would like to know why President Obama and the First Lady don’t say that Naftali and the other two boys are like their children, as they said about the girls who were kidnapped in Nigeria. 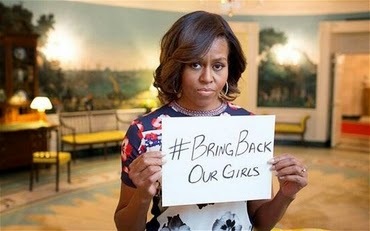 Michelle Obama said she was outraged and heartbroken about those girls. I would like to know why the President and First Lady have made no public statements at all about our boys, and especially about Naftali, an American citizen. After my 13 year old son Koby, also an American citizen, was killed by terrorists in 2001, a law was introduced in Congress called the Koby Mandell Act. It later passed as an omnibus rider (my son’s name was erased), which opened an office in the Department of Justice called the Office of Justice for the Victims of Overseas Terrorism (OVT). The office’s mandate was to actively pursue terrorists who murdered Americans abroad. At about the same time, the government initiated a Rewards for Justice Program to pay for information leading to the arrest of overseas terrorists. Yet, no terrorist killers of Americans in Israel have ever been apprehended under that program. In fact, today when I checked the Rewards for Justice website, there was not even a listing for my son’s name. His murderers have not been found, yet the Justice Department has seemingly deleted him from their consciousness. They are not looking for his killers. In fact, according to their list of atrocities, no Koby Mandell was ever killed in Israel by terrorists. They have closed his case, if it was ever opened. And if you search the Office of Victims of Overseas Terrorism, you will not find his name either, except in reference to the first version of the law. Yet the Koby Mandell Act promised that the US government would vigorously pursue the killers of American citizens, including those killed in Israel. So far, not one of them has been brought to justice with the help of the American government. The OVT’s primary responsibilities are to work to ensure that when Americans are injured or killed in terrorist attacks overseas, investigations and prosecution remain a high priority. Another responsibility is to honor and respect the rights of victims and their families. The office is also meant to monitor the investigation and prosecution of terrorist attacks against Americans aboard. With these lofty goals, you would think that there would be a picture or at least a mention of Naftali on the website. Or a mention of Koby. Or of the many Americans citizens killed by Palestinian terrorists in Israel. But when it comes to Americans who are the victims of Palestinian terrorism, the Justice Department, like the President remains silent. 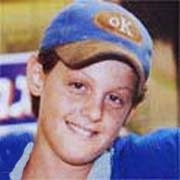 Please write to the President at whitehouse.gov and demand that he make a statement about Naftali and the other two boys. Ask him why the Office of Justice for Victims of Overseas Terrorism is silent. Ask the President simply…to say something. yes that is RIDICULOUS!!! IT IS TERRIBLE WHAT HAPPENED TO THE Nigerian GIRLS, NO DOUBT ABOUT THAT. BUT, THEY ARE STILL ALIVE, HOPE. No word about the Israeli boys?? ?WHATS GOING ON OVER HERE? Their lives don't count?